For me, Detective Comics, with Batman and Batwoman fronting the team consisting of Spoiler, Red Robin, Orphan (Cassandra Cain), and super-villain seeking redemption Clayface, has been the highlight of DC Comics Rebirth and the new Bat-Books in general. From the moment it was announced, this titles concept and team structure, along with the inclusion of Clayface, captivated my imagination, and I love the dynamic that’s evolved between this fledgling superhero team as its evolved and learned to work together under Batwoman’s stewardship. 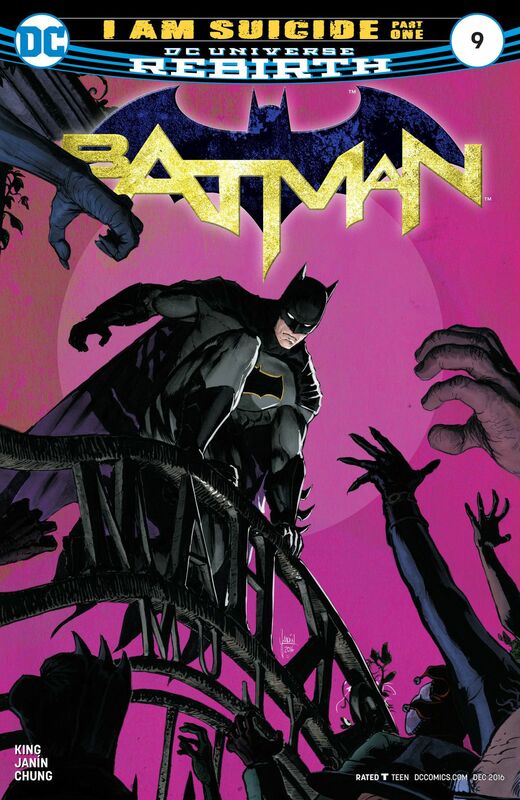 James Tynion IV ensures that Rise of the Batmen: Part 7 delivers a powerful finale for this first arc. I really like how Tynion has developed the bond between Bruce and Kate over the course of this storyline. Now they are forced to face the most challenging and difficult of circumstances, with Batwoman finally confronting her father’s treachery, as leader of the Colony and the one responsible for unleashing this army of Batmen and drone on Gotham, while Batman faces a desperate race against time to reach Tim at the old Wayne Tower. Eddy Barrows gorgeous artwork for this issue of Detective Comics elevates the drama and tension to the max, with dynamic, almost cinematic page layouts. The scenes on and around the Colony Airship are spectacular, Barrows dazzles us with smashing action-packed moments of high drama as Batwoman’s fury spills over, but it is the moments where – having made himself the sole target of the drones – Red Robin makes his stand against this ultimate no-win-scenario that will truly have you on the edge of your seat. Eber Ferreira’s inks complement Barrows’ art brilliantly, enhancing the finer details and nuances of every scene, and the colors by Adriano Lucas meld with sublime grace to reflect the action and emotional beats of the story perfectly. Detective Comics #940 is good, frustratingly good in fact, because to say more would completely spoil it. Suffice to say, James Tynion IV that pulled out all the stops for this one, its a master class in storytelling, plotting, and characterization. 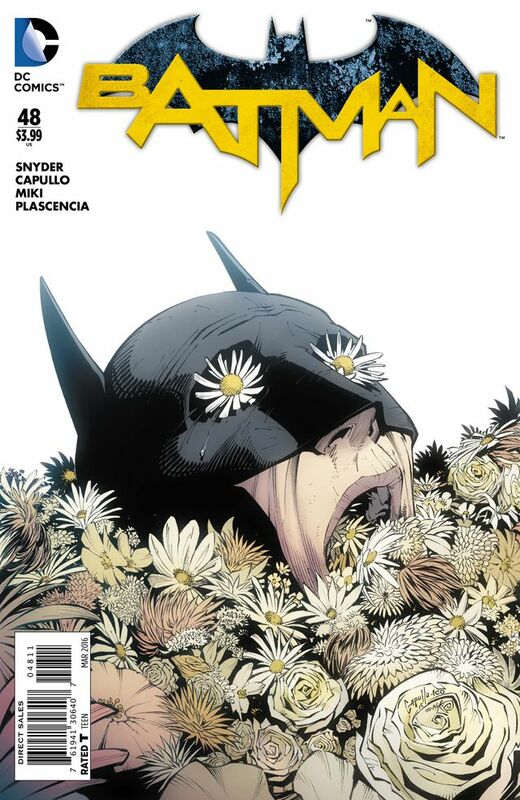 This issue has some of most powerful and emotional scenes that we’ve seen for a long time in a Batman comic. 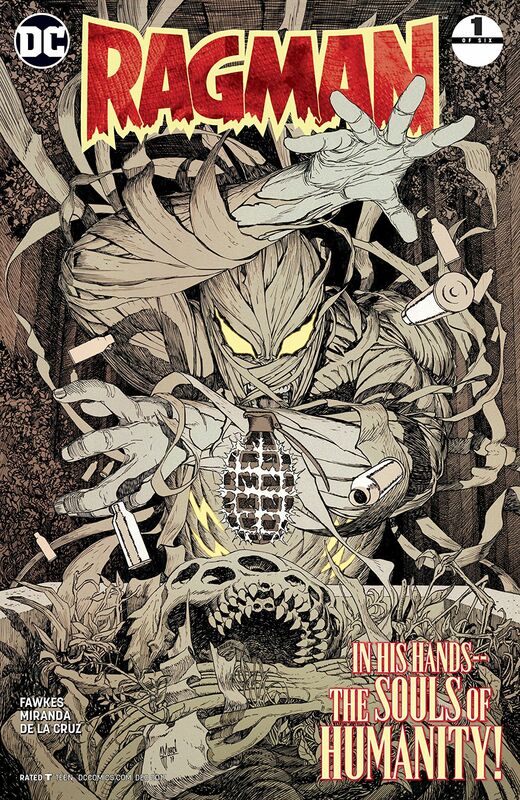 Barrows, Ferreira, and Lucas have also made this one of their most visually impressive issues so far. The emotional fallout from the cataclysmic events in Detective Comics #940 are conveyed in the most heartrending way, its moving stuff, and, needless to say, the ending will completely blow you away. Rise of the Batmen has been a terrific start to Tynion’s run on Detective Comics. 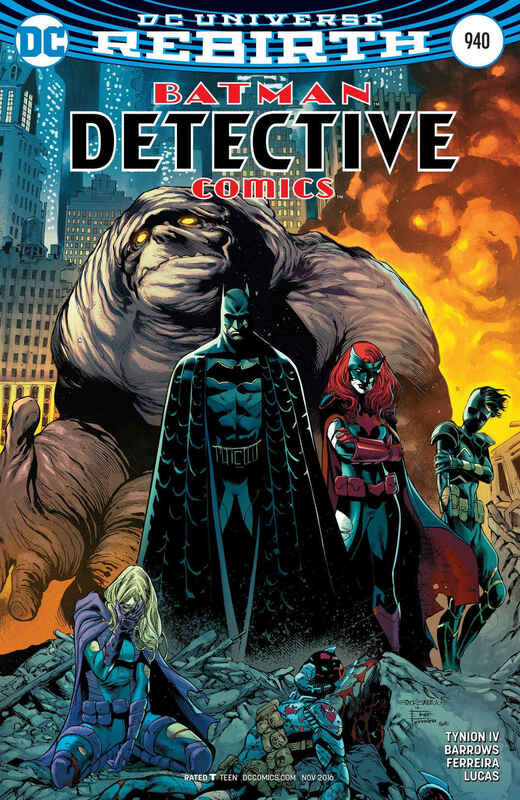 If this arc is anything to go by, I‘m sure Detective Comics will have become a must read Bat-Title for many fans, and now with the Night of the Monster Men crossover event about to begin, I can’t wait to see what Tynion and the whole creative team on Detective Comics have in store for us next! 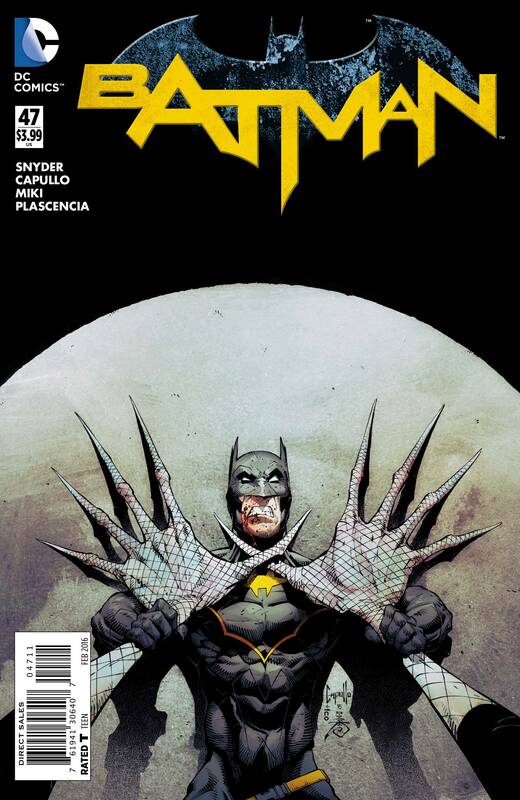 A new threat is rising in Gotham City. Batman and Batwoman have assembled a new generation of heroes against this secret army of the Colony and their extreme tactics. Now, in Detective Comics #936, Batman is missing, and the time has come for Batwoman to take charge. But will she able to make Spoiler, Red Robin, Orphan (Cassandra Cain), and erratic super-villain seeking redemption Clayface work together as a team? Rise of the Batmen Part 3: Army of Shadows, continues the brand new story-arc by James Tynion IV, where Batman and Batwoman have begun training a new strike force of young heroes to face the soldiers of the Colony that have modelled themselves on the Dark Knight and begun scouring the city, ruthlessly dealing with anything perceived as potential a threat – including it now seems, even Batman himself! 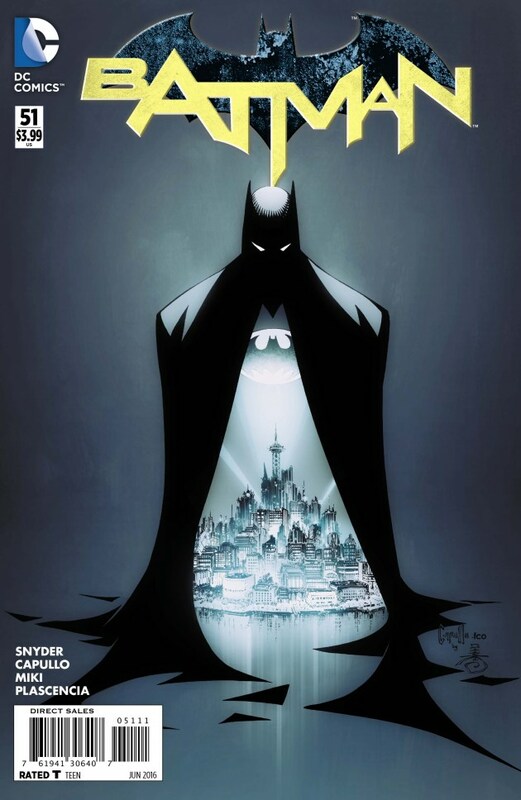 Tynion deftly builds on the series’ new direction and concept with Detective Comics #936, as Kate Kane confronts her doubts about training Batman’s team over a drink with former love interest Renee Montoya (she was also the Question), who makes a long awaited return here after being absent from the DC Universe – for the most part – since the New 52 reboot. It is a powerful, moving, and insightful scene for both characters. However, Montoya can easily see though Kate’s tough façade, and her parting words of advice are tinged with bittersweet sincerity for them both. From there an emergency call brings Batwoman to the teams new Belfry HQ, where Red Robin presents Kate with the news that Batman has been ambushed by the Colony, and that its now up to her to must decide what they do next. This issue rattles along at a cracking pace. Batwoman quickly ascertains the Colony forces have military form, but it is Red Robin who really helps Kate to address her issues concerning Batman and her ability as a leader. It’s a great scene for both characters, and it offers a fascinating insight into how they both perceive Batman and feel they’ve earned his trust. The time has come for Batwoman and Red Robin to summon Spoiler, Orphan, and Clayface to the Belfry and to bring them up to speed with their mission, together with some expert advice from Kate’s father, to prepare them for what they must face with Batman now MIA. Detective Comics #936 is a mighty fine looking issue, with pencils by Alvaro Martinez and inks by Raul Fernandez, every scene flows seamlessly into the next, and the staggering level of detail on every page skilfully accentuates the many subtleties and nuances of Tynion’s excellent scrip. From Kate’s musings on her past reflected in a her own beer glass during a quiet drink in a bar with Renee Montoya, to the dual functionality and visual spectacle of the Belfry’s huge window, this issue also delivers its fair share of big-action set–pieces as well. The colors by Brad Anderson are another major highlight of this issue of Detective Comics, with glorious tones and rich shades enhancing ever scene, especially those set in the Belfry. James Tynion IV has done a fantastic job with this issue; it’s packed from cover to cover with action, suspense, and great characterization. 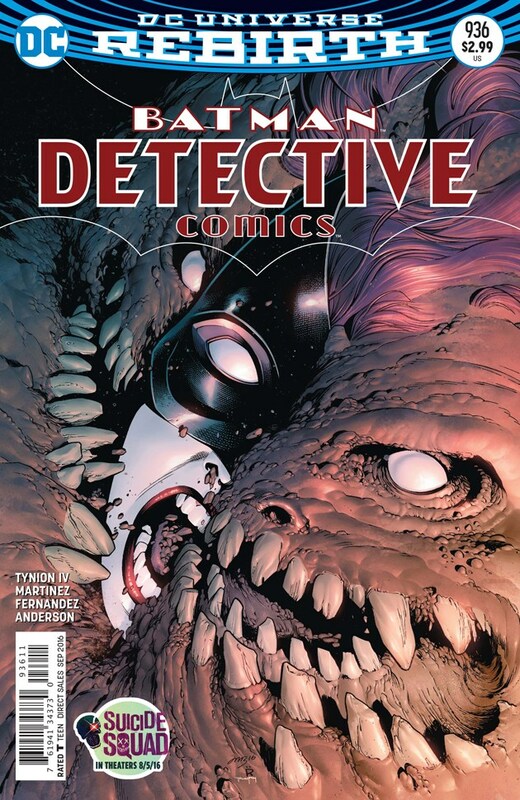 Everything builds to a thrilling cliff-hanger in Detective Comics #936, a hidden agenda is revealed, the Belfry comes under attack, Clayface’s unpredictable abilities prove crucial, and Batwoman finally learns that she has what it takes to be the leader that Batman trusted her to be. Of all the new comics that I’ve been reading recently, Detective Comics has easily been the standout new Bat-title from DC’s Rebirth event for me. Everything from the writing, the art, and its exciting cast of characters just seemed to click together right from the start. This creative team have really raised the bar with Detective Comics, its fresh, different, and TEC #936 is another excellent issue in this new story-arc. 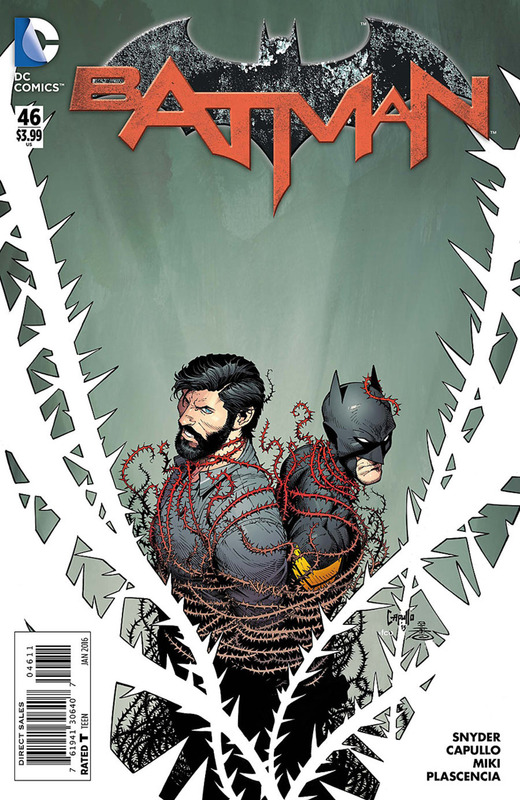 The Batman family must confront a new menace in Detective Comics #934, when an unknown enemy that looks suspiciously like Batman begins stalking Gotham City and using ruthless tactics against perceived threats. Batman and Batwoman unite to train the next generation of young heroes in Gotham: Spoiler, Red Robin, Orphan (Cassandra Cain), and the reformed super-villain Clayface, to battle crime and protect their city. ..
As well as returning to its original numbering, Detective Comics now embraces an entirely new concept, and gets a new creative team with the advent of DC Rebirth, as writer James Tynion IV, artist Eddy Barrows, inker Eber Ferreira, and colorist Adriano Lucas usher in a new era for DC’s flagship comic series. Detective Comics #934 also marks the return of Batwoman to play a major role in the DC Universe, now working alongside Batman, together they will form a new team of superheroes with, Spoiler, Red Robin, Orphan, and Clayface, to confront the challenge of this mysterious new Darker Knight prowling Gotham like a vengeful predator, but can they work as a team, and is Clayface really ready to change his villainous ways? You know, as excited as I am by Batman, Nightwing, and All Star Batman, of all the new Bat-Titles coming our way during DC’s Rebirth, its Detective Comics that I’ve really been looking forward to the most. I often feel that Detective Comics got a bit overlooked at times during The New 52, but I’m sure all that will change; especially now on the strength of this first issue by James Tynion IV and the exciting new premise it establishes. The initial scenes of Rise of the Batmen Part 1 flashbacks to events as Gotham’s deadly new cape and cowl attacks Azrael, it’s a brutal fight, but with Batman’s arrival on the scene this strange doppelganger impersonating Batman soon beats a hasty retreat to the shadows. The new status quo and cast of characters is quickly set out as the issue unfolds, as Kate’s father’s sentiments are echoed later in Batman’s request for her to help him find out why Azrael was attacked and who is controlling the drones that have been spying on Gotham’s vigilantes. It’s really interesting to see Bruce and Kate working together so closely again, the unusual dynamic between them really plays to Tynion’s strengths as a writer, and I’m looking forward to seeing how Batman and Batwoman will work together. Given how tense and distant their relationship has sometimes been, this issue heralds a major turnaround on that front, it’s a terrific scene, and pivotal to forging their bond of trust and respect as equal partner in recruiting and running their boot camp for their new trainees. 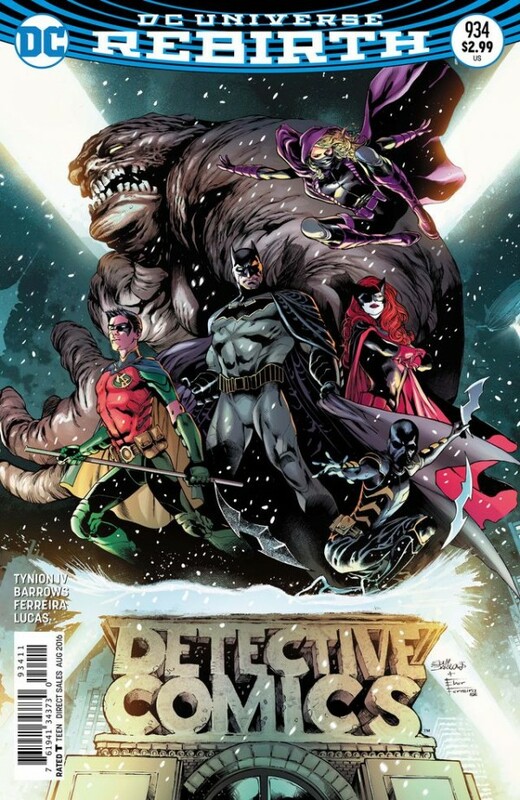 James Tynion IV also does a great job at handling this ensemble cast of characters, a fact that really shines through as we see Batman and Batwoman assessing and visiting Spoiler, Red Robin, Cassandra Cain, and Clayface individually over the course of the issue, and brining them together as a team to survive this new threat. Even though each student has their own unique attributes, strengths, and skills, Batwoman makes it clear from the outset their training is going to be tough; and she certainly isn’t going to go easy on them! Detective Comics #934 features some gorgeous artwork by Eddy Barrows and inks by Eber Ferreira. The page layouts are bold and dramatic, Barrow’s art is finely detailed and conveys the often kinetic action with an almost fluidic sense of pace and movement, all the characters are impressively realized, and Ferreira’s inks really brining out the finer nuances of Barrow’s work to such a degree that each scene literally bursts from the page with the sheer immersing power of characterization and spectacle in this issue. Likewise, colorist Adriano Lucas builds the tension and drama with a subtle blend of rich hues and bold tones, while the clever use of light and shadow accentuates the mood of countless scenes to make this issue an outstanding synergy of storytelling and art. This issue has so many highlights: Batman standing framed in light in St Michael’s Cathedral before the fallen Azrael, Batwoman swinging across the Gotham skyline, the recruiting of the individual team members, and the stunning welcome to boot camp at the Bat-Signal that emulates this issues stunning cover by Barrows, Ferreira, Lucas is a sublime move that neatly bookends the issue in fine style. 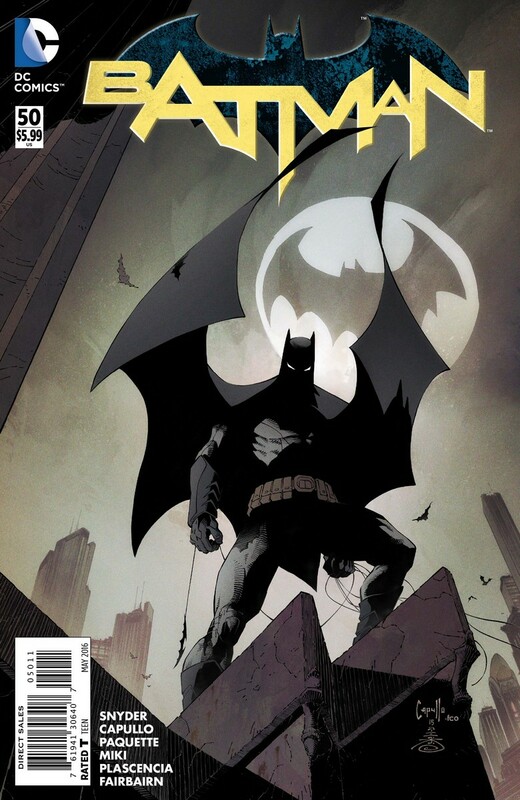 James Tynion IV has done a terrific job with Detective Comics #934, the new premise and mission scenario is set out for Batman, Batwoman, and their new team in a way that gradually builds the mystery and suspense, before the issue closes with a startling glimpse at the true scale of the menace they will all soon have to face. James Tynion gives all of the characters a moment to shine, while Eddy Barrows, Eber Ferreira, and Adriano Lucas ensure the issue is busting from cover to cover with impressive visual, along with concise letting from Marilyn Patrizio, collectively gets this new creative teams run on Detective Comics off to a great start!